Fiberguide Industries will exhibit its specialty optical fibers and high power assemblies at the 2014 Conference on Lasers and Electro-Optics (CLEO), booth 1224. The show takes place June 10-12, 2014 at the San Jose Convention Center (San Jose, Calif.). 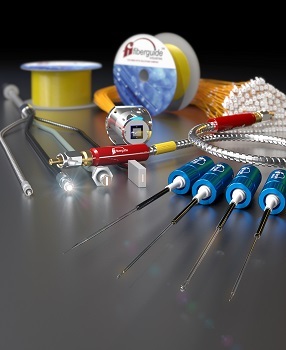 For optical sensing, medical, laser delivery, high temperature applications and more, Fiberguide will be exhibiting its full range of specialty optical fibers. Customized to user specifications, fiber sizes range from 4.3um singlemode to 2000um multimode core sizes with temperature capabilities up to 700°C. CLEO visitors can also learn about Fiberguide’s full optical assembly capabilities, including single- and multi-legged configurations for optical sensing and industrial power delivery. Its 2D arrays for telecom switching and astronomy applications will also be on hand, along with new shaped tip fibers for medical laser delivery. The company’s accessory line, including vacuum and pressure feed-throughs, collimators, and focus guides round out the exhibit. Fiberguide Industries design, develop and manufacture the highest quality, cost-effective optical fiber and optical fiber based solutions for a diverse OEM market, through the integration of people, technology and business systems. Fiberguide Promise is that they will deliver packaged optical fibers right the first time and every time, on time, with quality exceeding our customers’ expectations. Fiberguide Industries is the only supplier of graded index silica fibers to offer premium coatings for reliable performance in extreme temperature.